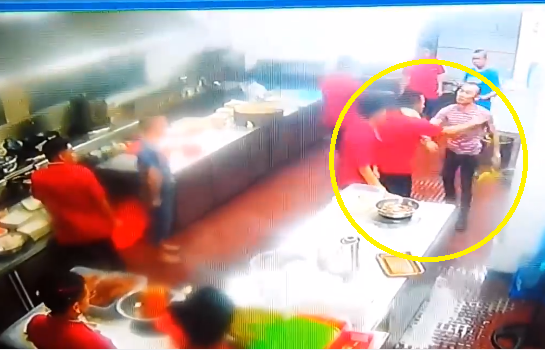 While business owners and superiors have the right to discipline their workers and subordinates when they do wrong, it is also not necessary to show power by attacking them to the point of hurting them physically! 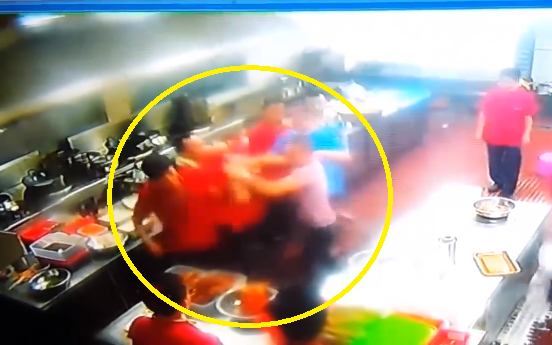 Recently, a video has gone viral of the altercation between a Chinese businessman and his Pinoy worker at an unnamed restaurant somewhere in Makati. In a post on OFW Kalingawan, CCTV footage of the incident was shared. 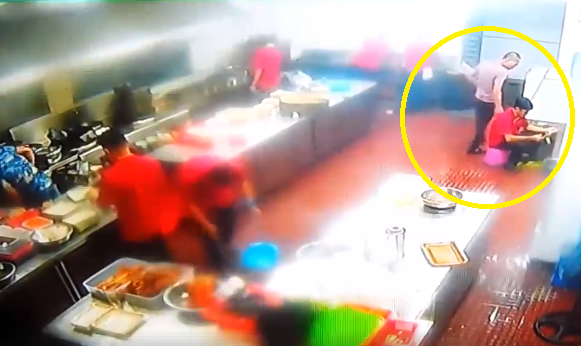 At first, there seemed to be nothing wrong in the scene as the CCTV showed a group of workers inside what appears to be a kitchen inside a commercial establishment. Each of the workers was just doing his job. 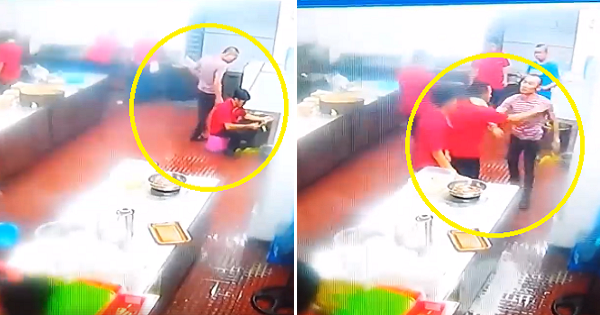 The Chinese boss entered the kitchen and closely watched over a worker who was cleaning up the floor. But his attention would soon turn to another worker who appeared to be cleaning some vegetables. Seemingly unsatisfied with what this worker was doing, the Chinese businessman took something from the bucket and threw it at the worker’s face. Instead of fighting back, the guy stood up and walked away to calm himself down but when he moved to get back to his post, the businessman angrily began punching and kicking him! This happened without provocation but the worker chose not to fight back even as the businessman had already hit him a number of times. Other workers stepped in to pull the businessman away from the worker. It is just sad to see that this worker got attacked and suffered injuries just because the businessman didn’t feel satisfied with his work after watching him for a few seconds. It would have been better if he was just fired from the job, if the businessman thinks he’s lousy at it – do you agree?